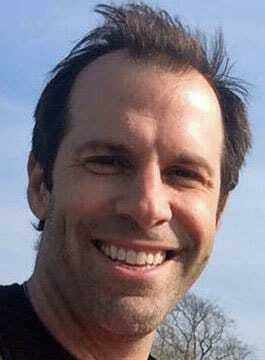 Greg Rusedski is one of the best known tennis players in the world. Rusedski was born in Canada in September 1973 to a British mother and a German-Canadian father of Polish-Ukrainian descent. He was a very promising and successful junior player in Canada during the 1980’s. In 1995 Greg decided to adopt British citizenship and play for Britain. During his career he was recognised as the number 4 seed in the world and at one point had the fastest serve in the world, recorded at 149 mph. He won the prestigious BBC Sports Personality of the Year award in 1997, which was voted by the British public. In 1998, he won the biggest tournament of his career at the ATP Masters Series in Paris and defeated the number one Pete Sampras in what he calls his greatest match played to date. Greg has a 27-11 career record (18-9 in singles) in Davis Cup play in 17 ties since 1995 and he calls his 2001 win over Ecuador on clay one of his biggest Cup achievements. Greg is now an accomplished coach and commentator. As a guest speaker, Greg Rusedski offers a unique insight into the challenges, pressures and emotions of the highest levels of sport. From the hard courts at Flushing Meadows to the green grass of Wimbledon; and from his relationship with Henman to the World’s fastest serve. What is Andy Murray really like and who will conquer SW19 next?